Being Team Dog and having a firm affinity for our furry best friends, of course I had to include a gift guide for pets. Plus I know that a lot of my readers also adore or have their very own fur babies. we can judge the heart of man by his treatment of animals. You’ve probably seen this quote fluttering around Facebook or Twitter. It’s shared to death and it’s easy to understand why. So I felt compelled to curate this gift guide for pets, not just for our furry BFF’s but also for the humans who love and live for animals too. My last two gift guides (here and here) were about thinking outside the box when it came to gifting this time of year. So I thought it appropriate to also include an edit for those with firm adoration for animals. I think doing so would make for an exceptional gift; like really, heartwarming. Because who could say no to Menswear Dog or some Art Deco fashioned coasters? And it’s not just humans we can spoil but of course our precious fur babies too. I for one truly adore spoiling my Chanel. Not just during this time of year; but year round. When she was around two (in human years) I had a propensity to overindulge. And when I say overindulge, I mean it. To the point where every time the doorbell rang and I collected a parcel, she truly expected its inner contents to be exclusively hers. Granted 99% of the time, she was right in thinking so. And while over the years I’ve had to cease in excessive spending (predominantly because her collection of toys had become so vast, to the point we were beginning to resemble the beginnings of a hoarder), I refuse to hold back at Christmas time. This year I wanted to get my little Coco-Bean something different to the usual offerings. Like maybe this specialised GoPro harness. I’ve always been curious about what she gets up to in the back garden or even just taking her on mini adventures through the bush and capturing the experience from her vantage point. Of course, she’ll still get those mushy plush toys she dearly loves too. What can I say, I just can’t help myself. 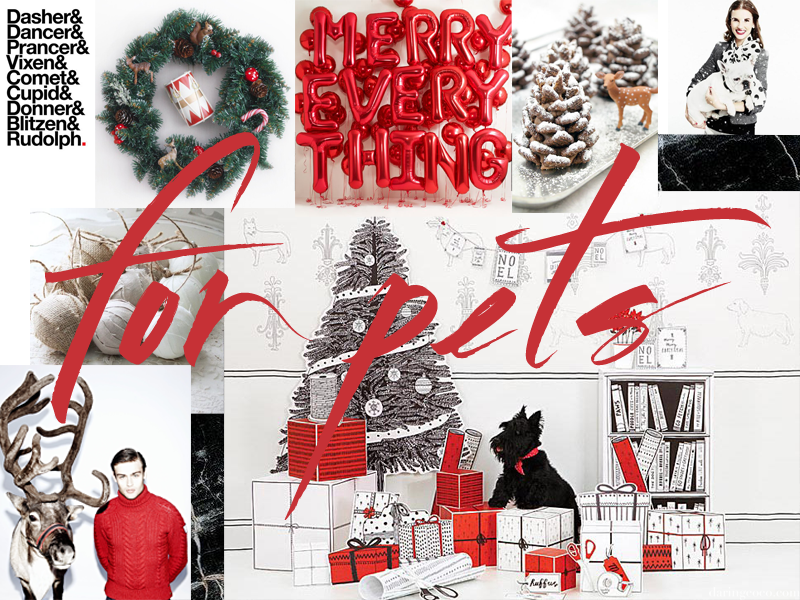 Shop my edit and gift guide for pets and animal lovers below.